When your business or commercial property is damaged by fire or smoke, quick action is key to preventing more damage and being able to reopen your business and resume operations as soon as possible. When you call Alert Disaster Restoration, our team will respond 24/7. When we arrive at your property, we will take immediate action to secure your property, and work to mitigate the damage as much as possible. The sooner you call, the sooner our team can get to work, and the greater the chances that we will be able to prevent or reduce additional losses. 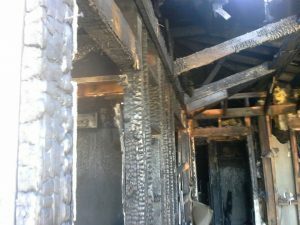 From the immediate boardup and protection of your property from our emergency response team, to the complete cleanup and restoration of your property, you can count on Alert Disaster Restoration for all your fire damage and smoke damage needs. Our qualified team will work you you and your insurance company to quickly restore your property to pre-loss condition while preventing additional losses. 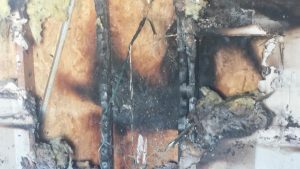 Different types of fires leave different kinds of smoke residues that each require a different approach for cleanup, removal, and deodorization. While at the scene, Alert initially identifies the type of smoke to allow for proper cleaning and restoration. Our #1 goal is to restore your property to it’s pre-loss condition as quickly as possible, while delivering only the highest quality craftsmanship and the best customer service. We understand that this is a difficult time for you, and you can count on us to respond whenever you need us most, 24/7/365.